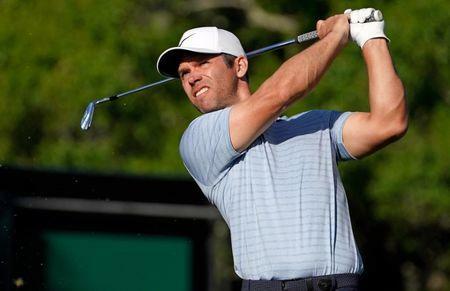 (Reuters) - Early starters Paul Casey and Austin Cook survived after a costly finish by one-time leader Luke Donald to earn a one-stroke advantage in Florida's Valspar Championship on Friday. 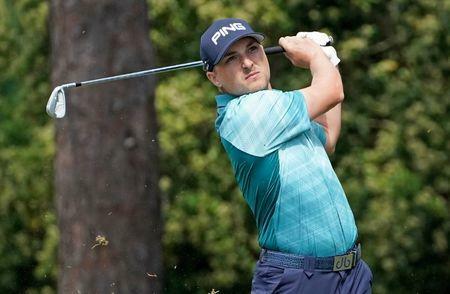 Englishman Casey, the defending champion, shot 66 and American Cook 67 to hold onto the joint lead on six-under 136 after the second round at Palm Harbor, Florida. Donald, who played behind compatriot Casey and Cook, had taken a one-shot lead with four holes to play but two bogeys coming home left him in a three-way tie for third after a scrambling one-under 70. Level with the former world number one at 137 were American Scott Stallings (68) and South Korea's Im Sung-jae (67). Lurking another shot back was top-ranked Dustin Johnson, whose second consecutive 69 left the American in a three-way tie for sixth with Australian Curtis Luck (68) and first-round co-leader Joel Dahmen (72). Casey put together an eagle, four birdies and a bogey at his last hole, the ninth, before the Florida breezes kicked up and the greens became more tricky. 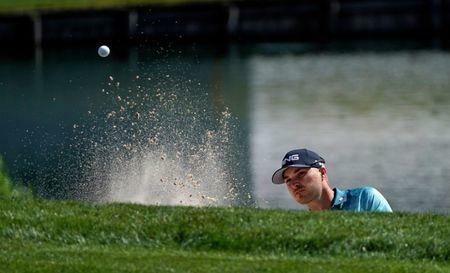 "I’ve never (successfully) defended a professional event," he told Golf Channel. Cook turned to a new putter and liked the results as he recorded five birdies and a bogey. "Something as simple as changing a putter can make a big difference sometimes," he told PGA Tour Radio. Scot Russell Knox, tied for third after the first round, barely made the cut after soaring from a 67 on Thursday to a 76 in windy conditions on Friday. Australian Jason Day did fall over the cut line of plus one as the world number 12's 71 was not enough to overcome an opening 74 as he ended play at three-over par.